Hello, I'm an 11 year old and I went to jamendo.com and it didn't help me. I need help on how to make a song that u can dance to, like symphonique, all that and just do me so. Plzz help me write a song, I need help. I don't understand if you need a song to dance to or if you intend to compose a musical piece. If what you want is to write the song yourself, you need to have some musical understanding. We have a page at our website that explains basic knowledge that you use when composing music for dance. I think you should read it and then decide if you will compose the song or if you will ask a musician to do it for you. If what you need is a song to dance to, there's always the option to choose one that already exists. That will facilitate your task, especially if you are in a hurry for this. As you said, jamendo.com is a good place to search for royalty free music that you can use for non commercial purposes. If this is your case, I would recommend that you visit that website again and insist on your search. There are a lot of options to choose in it. I also have colleagues that create music on command. One of them could do the work for you, but s/he would need you to read the page I am recommending you, so that you can provide the right specifications of what you need. And that would have a fee (that's the musicians' job, right?). 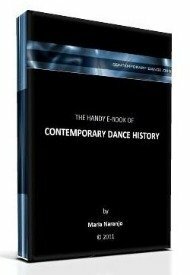 If you want to try that, read the page about contemporary dance music and then write me back, providing an e-mail address where I can contact you. You can do this also through the contact me form of contemporary-dance.org. I will then tell you what to do. I hope this helps and I'll be attentive for the case you decide to answer back. I am not a master in the field of dancing, but I believe that you will need good capability to write a song on your own that can be used while dancing. I hope that the suggestions of the author have helped you to write the song.